The weather has not exactly been getting warmer lately, so the nature is advancing slowly. 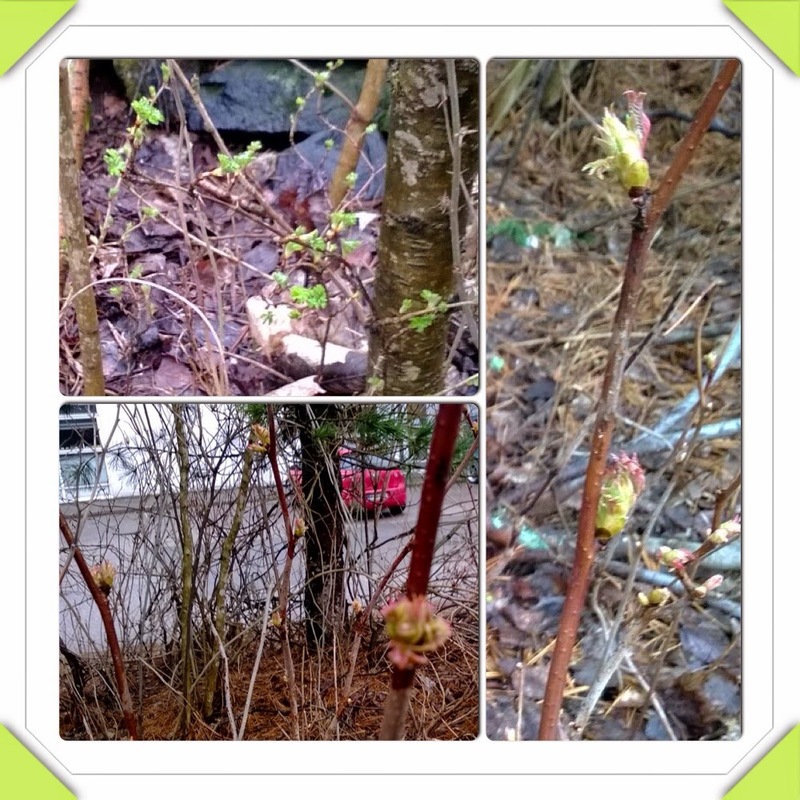 Trees and bushes have had buds for a long time already, but the weather has not been right for the leaves to pop out. Today I did notice some trees and bushes were starting to open the leaves a bit, finally.